The order books of Ledinek, Maribor / SI, are full. This has to do in particular with the fact that only Ledinek can deliver complete CLT production plants with state of the art technology build in. 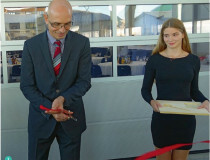 Festive moment: Managing Director Gregor Ledinek opens the new production facility by cutting the ribbon. 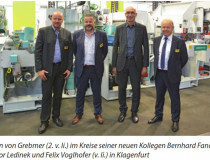 The Slovenian gluelam specialists presented themselves successfully in Klagenfurt. 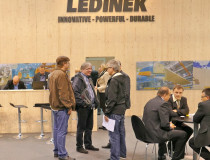 The business situation is good and the demand for Ledinek planing and glulam systems remains high. 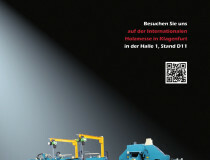 In addition to new and further developments, the specialists for total solutions also presented a new key employee. 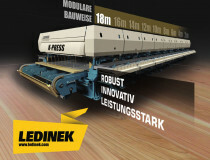 If you put all CLT X-Press presses built by Ledinek in a row, you would reach over 120 meters.